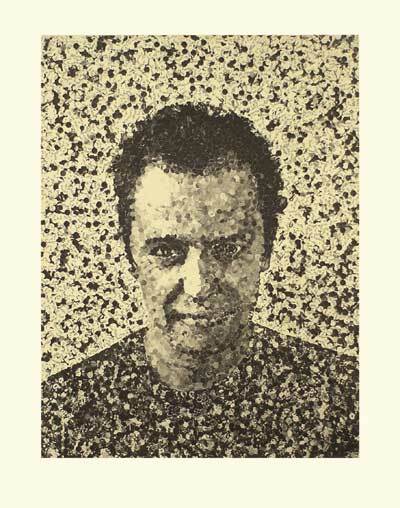 Vik Muniz is a visual artist, who paints and draws with basic materials like string, wire, sugar, dust and chocolate. He then photographs his work and discards the originals, leaving the viewer with a representation of his original creation. Vik Muniz was born in Sao Paulo, Brazil in 1961. The family was very poor and lived on a piece of land on the outskirts of the city. He said that the oppressive political climate in Brazil, in which he grew up, limited free speech and contributed to his need to invent ways of expressing himself. Muniz says that his parents had never set foot inside a museum or gallery until they went to view the work of their son. One of the reasons that Muniz art is so accessible is that he says he makes art for his mother. During his early years in school, Muniz did poorly in academic studies but drew constantly during his classes. His school principal entered his work in a contest that won him a scholarship to art school. He studied advertising at the Fundação Armando Álvares Penteado de São Paulo. Muniz got his first advertising job after he noticed that many of the billboards he saw around Sao Paulo were unreadable when driving by them. He approached one of the top ad agencies in Sao Paulo with proposals for improving their readability and impact. His work won him an award, which was presented to him at an awards ceremony. After the ceremony was over, Muniz walked outside and saw two men, in tuxedos, fighting. He broke up the fight, but one of the combatants had a gun and shot Muniz in the leg. In exchange for Muniz not pressing charges, the shooter gave him enough money to travel to New York. 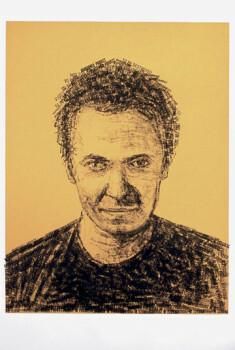 Muniz moved to New York in 1983, rented a studio in the Bronx and studied theater. He didn’t think he could make a living as an artist, but he says that he became an artist, “out of spite” after dating a woman who had graduated from Yale and repeatedly told him, when they visited museums and galleries, that he didn’t know anything about art. His first show Relic, were sculptures, Muniz said “of objects in conflict with their own image” like the Pre Columbian Coffee Maker, that appears to be a “relic” but is fitted with a paper filter. During the recession in the early ‘90s, Muniz almost gave up on his art career, but he traded some of his work for a trip to the island of St, Kitts. While there, he spent time with the children of sugar plantation workers. He photographed them and when he returned to New York, he rendered their portraits using sugar on black paper, photographed the portraits and exhibited them at a New York gallery in 1996. He was invited to be part of the New Photography Show at MoMA and his career took off. In 2010, the film Wasteland was released, which chronicled Muniz’s art collaborations with the people who collect recyclable materials at the Jardim Gramacho, the world’s largest landfill. Wasteland was nominated for the Academy Award for Best Documentary Feature. Muniz lives in Brooklyn with his wife, artist Janaina Tschape and their daughter. 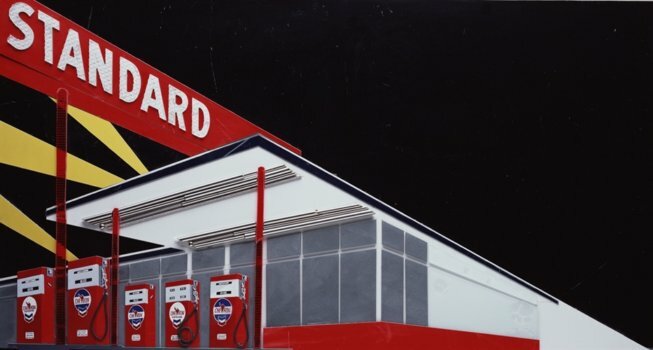 His work is included in the collection of the Met, MoMA, the Whitney, the Tate and other venues around the world.